The new Buckingham Bridge is to be officially reopened. 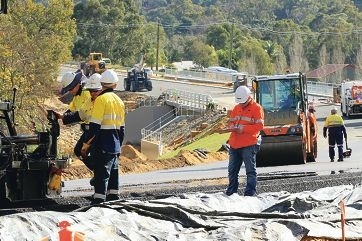 Works were initially expected to be completed by June. The $7.1 million concrete and steel bridge replaces a timber bridge that collapsed in the Kelmscott/Roleystone bushfire in February 2011. The timber bridge dated back to 1935 and its collapse cut access over the Canning River on Brookton Highway until a replacement culvert was built as a temporary measure. The cost of the new bridge was covered by the WA Natural Disaster Relief and Recovery Arrangements, and the Natural Disaster State Contingency Fund. The design includes new approaches to the bridge from the east and west, with better sight lines.